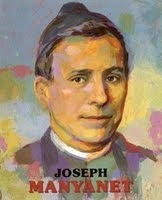 "A Nazareth in each Home"
God gave to Joseph Manyanet a spirituality and mission to enrich the Church. He propagated them by means of his priestly ministry and the Gospel of the Holy Family. The new perspective of the Church’s ministry is shared by the lay persons in the spirituality and mission of the sons and daughters of Saint Joseph Manyanet. 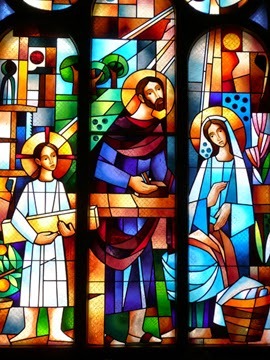 From Nazareth, Jesus teaches a simple and original way: to be and to live as children of God, subject to Mary and Joseph, in a family life communion, of work and serving the will of our heavenly Father. 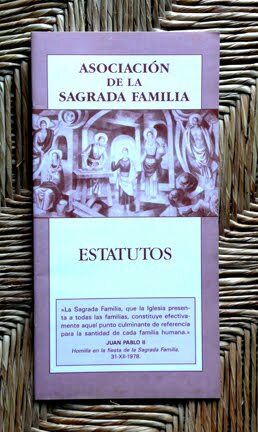 Upon this two pillars-- helping to grow in harmony as children of God an strengthening communion in the family-- the specific service of Saint Joseph Manyanet is put into practice for the benefit of the families and the whole Church. In "making of each home a Nazareth" is where the spiritual family of Saint Joseph Manyanet encounters its challenge and its mission field.